Left-wing Occupy ICE PDX protesters like to project their fight against the Trump administration as a battle of good vs. evil, principles, and humanity against immorality and heartlessness. Yet their real actions betray their so-called moral and principled stance, exposing instead their trashy attitude- both literally and figuratively. They left a massive amount of garbage and worse, “human waste piling up” after their protests that one will wonder if they have any decency left. 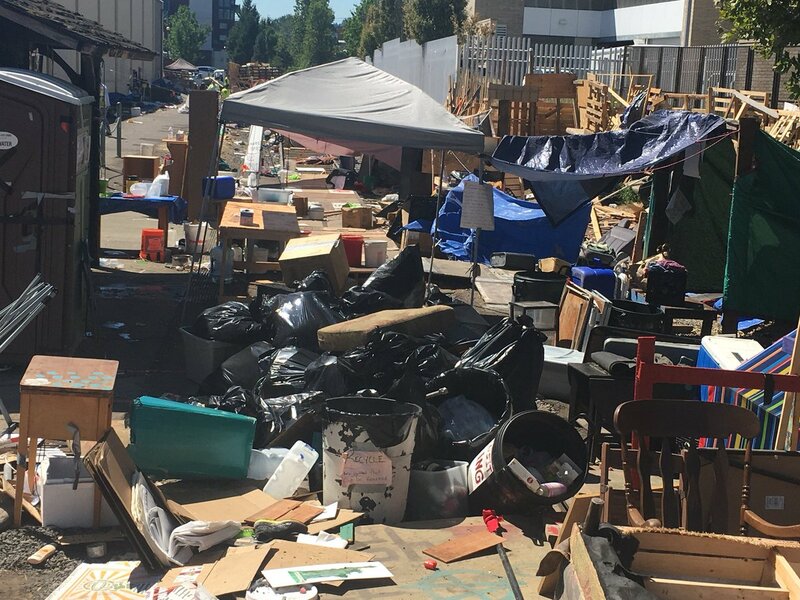 Now, the city has to carry the burden of cleaning up the shocking and disgusting filth left behind by the protesters outside Southwest Portland’s US Immigration and Customs Enforcement headquarters - and at taxpayers’ expense at that. The mayor’s office confirmed to local media that the city will shoulder a good portion of the cleanup bill. TriMet will chip in too. Both happen to be part of the consortium that owns the land where protesters set up their camp, and which they destroyed with their seemingly unimaginable mess. Here are the images of the state of trash left behind by the protesters. Images don’t lie. Let these be the judge of the left true character. Let’s wall off Portland, cut off all federal funding and watch the liberal trash eat each other. Subhuman garbage have had carte blanche to do whatever the hell they like since Trump became president. I’m sick of it. If this were truly the totalitarian state that they like to pretend America is they would have been machine gunned en masse long ago, with just enough left over to repopulate Guantanamo. Their just showing there true state of being, filth!